Mix ground turkey, 2 tablespoons of the bar-b-q sauce, and salt in a large bowl. 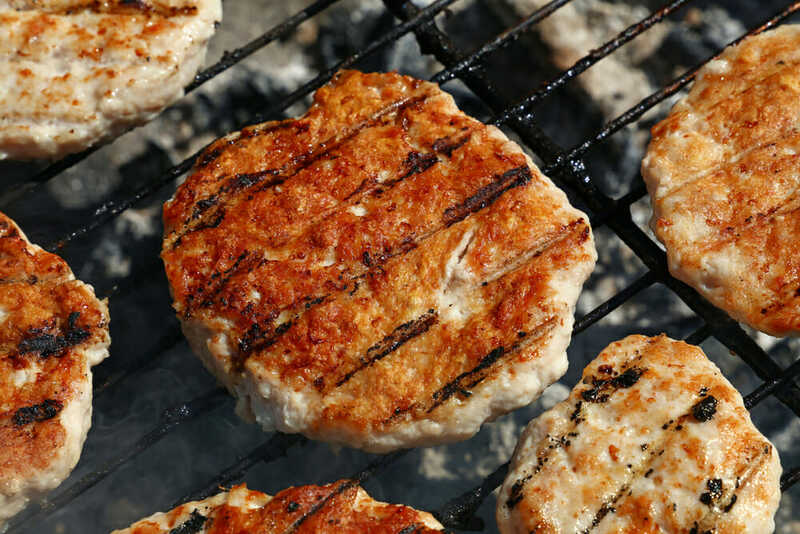 Grill over medium heat, 4 to 6 minutes per side or until burgers are cooked through (internal temperature of 165 degrees). Baste the remaining 2 tablespoons bar-b-q sauce during the last minute of cooking. Top each burger with cheese and cook until melted. Serve burgers on gluten-free buns topped with lettuce and tomato.